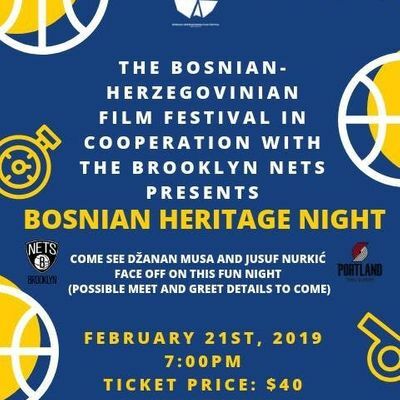 The Bosnian-Herzegovinian Film Festival in cooperation with the Brooklyn Nets presents the first ever Bosnian Heritage Night taking place at the Barclays Center on Thursday February 21st, 2019 at 7:30pm! 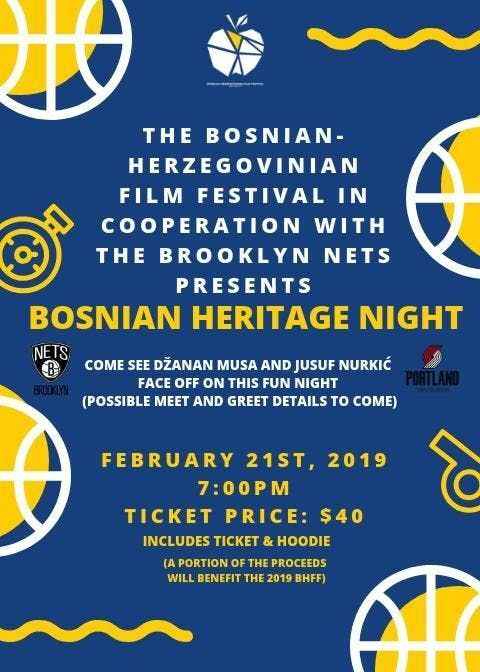 Come see Džanan Musa and Jusuf Nurkić face off on this fun night! Every ticket comes with a seat (in SEC 206 Rows 5 or 6) and a Brooklyn Nets hoodie! In addition, Džanan Musa agreed to meet us all after for an on court meet and greet after the game! More details on the meet and greet to come! All tickets will be mailed out.